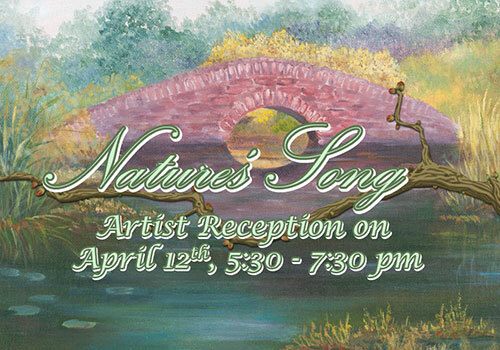 Come meet the artists from the new exhibition, Nature's Song. There will be refreshments provided by Holy Cannoli! and live music by Adam Babcock. The exhibit runs from March 15 to May 11.